Space saver stairs are becoming more and more popular. Also known as alternating tread staircases, loft stairs or paddle stairs, they can provide a convenient way of reaching an attic or basement where a standard staircase wouldn’t fit. The stairs are so compact because they are designed with alternate handed steps, effectively halving the number of treads required – so the overall footprint of the staircase is much smaller than normal stairs. They can, however, take a bit of getting used to. So, are space saver stairs worth having? Let’s look at some of their best and worst aspects. Convenience – Anyone who has ever wrestled with folding loft steps will appreciate being able to simply walk up a set of permanent stairs when they need something from the attic. Safety – As a fixed structure, space saver stairs are much sturdier than any ladder. That said, the design needs to be right. As each step takes more strain than the average staircase (due to the steep pitch), the treads should ideally be at least 32mm thick and made from a strong timber such as oak or ash. Pine and similar softwoods are liable to crack so should not be used. Slip-resistant surfaces for the treads are essential. You will also need a robust handrail, preferably on both sides. Provided all these conditions are met, there is no need to worry about safety. Style – These stairs are available in a wide range of designs and materials, so you can choose one to suit your home’s character and décor. The cut-away steps are considered by many to be an attractive design feature – and you can even paint or stain them different colours for extra effect. Cost – As there are fewer treads in space saver staircases they almost always cost less to produce than standard stairs, making them an economical option for home owners on a budget. Restricted use – These types of stairs are not intended for use as a main staircase, but are only suitable for access to a single room such as an attic or cellar. Unusual design – It can take a little while to get to grips with the alternate tread arrangement, as you only place one foot on each step. Some people find it easier to start off on their left foot rather than their right, and vice versa. Many stair manufacturers are able to accommodate individual preference, and arrange the steps accordingly. Pitch – Obviously, these staircases have to be steeper than standard stairs otherwise they would not have a reduced footprint. This does make them a little harder to climb than normal stairs, which is why strong handrails are particularly important with this type of design. Legal requirements are frequently interpreted differently according to where you live, so always check with your local building control officer before ordering a staircase. The main points to remember are: The stairs should only lead to one room; they cannot be used as the main staircase; they must be straight; you must fit a handrail where the drop is greater than 60cm; the maximum pitch (steepness) permitted is 42 degrees; and you need to allow a minimum head room of 1.9m. 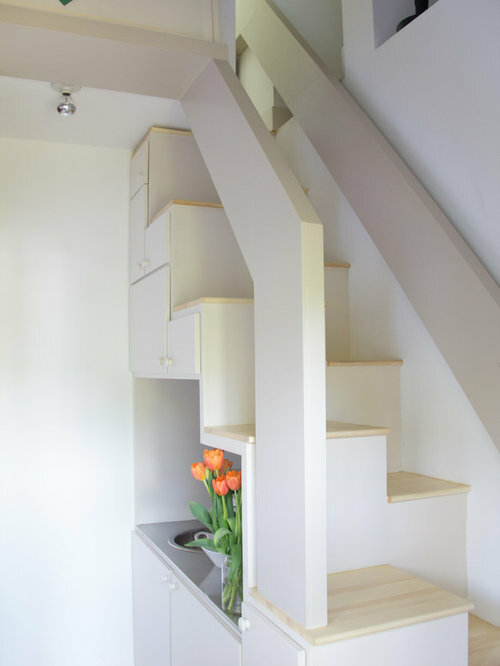 Space saver stairs can be a stylish and practical option, but you need to do your homework thoroughly first. Measure carefully to check you have enough room, speak to staircase designers and consult your local building control officer before committing to a purchase. The electrical conduits are a type of fiber, metal, or plastic sleeve that holds and protects wiring in the home or office space. The installation of the conduit is subject to specific wiring regulations. So, for this reason, it is essential to install the right one to match the needs. The placement of the electrical conduit will become a deciding factor on the chosen material. The majority of the conduits are placed on exposed wall surfaces, and the material is either rigid or flexible. The most common materials include liquid-tight/seal-tight, PVC-coated, EMT, PVC, rigid steel and IMC. There are a variety of factors that are considered in the process of choosing the type of conduit system, such as the material of the sleeve, mechanical stiffness and wall thickness. The particular material is chosen based on the installation costs, its ability to resist corrosion, and its mechanical protection. 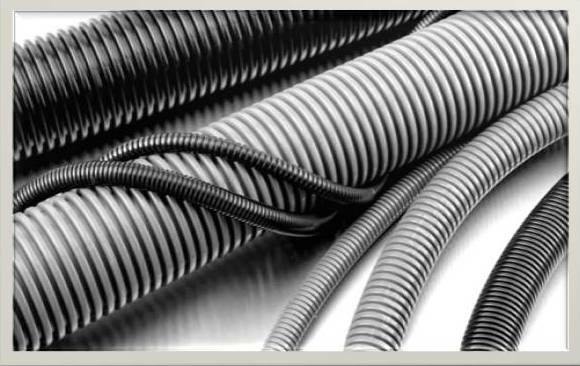 The thickest and heaviest choice for the electrical conduits is rigid steel which gives significantly more protection compared to the light, flexible versions. Popular materials include aluminum, coated steel and stainless steel. Plus, the different materials are given a special coating to increase the ability to resist corrosion. Rigid steel is useful in a wide range of applications including outside areas such as service feed installations and under driveways. A lighter type of conduit includes those manufactured with intermediate metal and is a practical choice for protecting cables and insulating electrical conductors. This is a useful choice for exposed walls (basements, garages, etc.) and outdoor applications. The electrical metallic tubing is a lightweight material and relatively easy to install on indoor applications. It is typically made of aluminum or steel and a popular choice for industrial and commercial buildings. The PVC conduit is the most cost-effective option for installing in industrial, commercial, or utility applications. Even though it is preferred for indoor use, it is still able to give sufficient protection against corrosion, moisture and sunlight. Also, it is an acceptable option for underground applications, but great care needs to be taken throughout the installation process. The liquid-tight/seal-tight has the ability to offer great mechanical strength and is finished with several types of coatings. It is great for commercial and industrial applications with the ability to accept a maximum rating of 75° C. Plus, this is a flexible type of material that is great for areas that experience a lot of flexing or vibrations. How To Install a Chandelier. Watch This! Don’t allow a broken hot water system become a burden. While it is a fact that you depend heavily on your hot water system to run your daily affairs and that its malfunction can frustrate and set back your day, it is also important to know that a number of responsive and highly dependable company specializing in Hot water repairs Perth can come in and resolve any problem you may encounter. Professionals that specialize in Hot water systems Perth can get your system back up and running in little time. You will find nothing but the best, the most experience personnel in dealing with these firms; and they offer you the kind of service that you need to get your life back on track. Hot water forms such an important part of household work nowadays that it is almost impossible to get along without it. This fact is mostly taken for granted. However, when it stops working properly, you take notice. The most common and ordinary things become very hard to deal with and manage. The proper operation of appliances is a necessary part of ordinary life. Without a functioning hot water system you cannot warm your home in the winter; without an operating boiler you cannot heat your home in winter or do dish washing and clothes washing machines. It becomes very difficult to keep your home clean and well preserved in general. These are all important chores. They are vital to your ability to manage your household. And that is why you must keep your hot water system in good working order if you are to enjoy a smoothly running life. If you have an emergency with a boiler, the best thing to do is to call someone trained to deal with it. The very worst thing you can do is try to fix it yourself, though it will be quite tempting to do so. However, if you think about it, it is much easier to call an expert, someone who is trained and has the right tools, to fix your broken appliance. To be sure, not all hot water repair firms deliver the same level of quality. It is also true that not all such repair companies are able to offer the same kind of value in the rates they charge. However, you should go with a repair company that can provide you with both the service you want and the value you deserve. It is not hard at all to find a company that specializes in hot water system repair. Going online is the best move to make in this regard. It will give you the means to find someone quickly. You will be able to sift through a wide variety of appliance repair companies, so that you can find the one best suited to meet your needs. Working the problem online will help you make the decisions you need to get your appliances repaired in a timely manner, and in a way that guarantees you will not have to call again to get the work redone. This will save you a great deal of time and money. Mold spores are a regular part of indoor air and live on walls furniture and clothes in the humid climate of Palm Coast, Florida. Usually mold comes from outside sources, although regular household cleaning will keep levels low. regular heavy duty cleaning of shows and baths where spores accumulate is essential for a healthy home. If your Florida home has a significant level of mold growth, however, that’s cause for concern. Spores can flourish wherever there is a leak, flood or high levels of humidity. This growth usually leads to high levels of airborne mold, which in turn triggers additional growth as spores travel to other areas inside your Florida home that also have high moisture levels. An extensive mold infestation damages your Florida home’s interior and its furnishings. including carpets and cabinets. 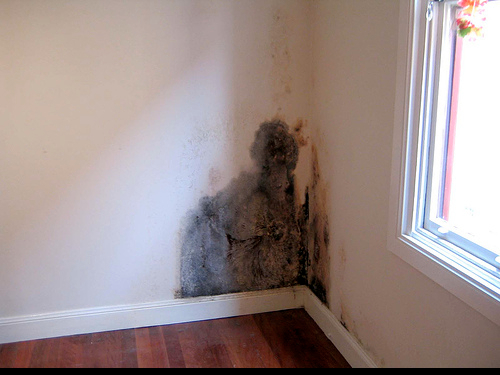 Over time, uncontrolled mold growth can even invade structural elements. Even though there is no practical way to eliminate all mold, keeping your home as clean and dry as possible can prevent extensive damage. Damage to your Palm Coast, Florida, home and possessions is only one reason to keep it clean. Mold also presents potential health risks to individuals with allergies or respiratory problems. Adverse effects of molds include allergic reactions, infections, irritations and in some cases can even be toxic. Symptoms of adverse mold reactions include wheezing, shortness of breath, difficulty breathing, nasal congestion, sneezing, eye and throat irritations, fatigue and headaches. To avoid such problems, here are some tips to help keep your Palm Coast, Florida, home from becoming a mold breeding ground. 6. Use moisture sensor alarms in areas where water back-ups and overflows frequently occur to avoid leaks and similar problems. For many, it’s our favorite time of year: the fall. For others, it’s the time of year where you plan for your energy bill to go through the roof. No matter what you do, it seems like you can’t control your bills quite as much as you did in the summer. Here are some energy saving tips that can help make those cold winter months a bit more bearable. 1. Open your curtains during the day. The windows that allow the most sunshine into your home should be left open during daytime. Leaving these windows open for just a few hours every day can help reduce how much you need to heat your home in the winter. 2. Lower the thermostat inside your home. By layering up, your home can stand to have the temperature 5 degrees lower. A small decrease in your home’s overall temperature can mean big savings on your next bill. You can try this during the day when everyone is gone and see if your family can stand the difference at night while everyone is sleeping. 3. Avoid blocking heat vents. Furniture has a tendency to get moved around during the year without us even realizing that it could be blocking a vent. Do a quick sweep of your home and make sure no vents are being blocked by large pieces of furniture. 4. Get an energy audit for your home. This is the easiest way to find ways to save money around your home. A home professional can come to your home and examine how efficient your home is. They can then provide you with a list of ways to become more efficient (even better than this list). 5. Maintain your HVAC system. Like your car, your HVAC system needs yearly maintenance. We recommend getting your system professionally looked at every fall before the cold winter temperatures set in. A dirty system can cost you a breakdown or a total system failure if not diagnosed and treated properly. 6. Examine your fireplace closely. Like your HVAC system, your fireplace needs maintenance as well. Make sure it’s properly fitted with additions to ensure efficiency. If you are looking for the fireplace to warm your entire home, speak to a contractor about an exchange system installation. 7. Switch to LED lights for an efficiency win. Your old holiday lights take up so much energy they can do some real damage your bill. Replacing them with LEDs, which take up much less energy and are ultimately more energy efficient. Keeping your lights on a timer will also help keep your costs under control. 8. Install a programmable thermostat for ultimate efficiency. If you are stuck manually adjusting your thermostat, there is a good chance you are losing more money than you even realize. A programmable thermostat remedies that problem by letting you set the temperature in your home at all hours of the day. The initial investment is small and can save you hundreds of dollars a year. When To Replace Your Roof? Watch This! Christmas is a great time to introduce energy saving habits into a household as many easy and simple changes in the way we live can end up putting extra money into your pocket. Higher electricity prices in South Africa have become an increasing strain on consumers’ monthly expenses and Eskom recently announced that it had applied to the state regulator Nersa to further increase the price of electricity by 16% every year. This means that South Africans could on average pay just over double the current electricity price by 2018. “As consumers we have a lot of decision making power when it comes to how we use and save energy,” says Claire Volkwyn, who is the programme director of the annual African Utility Weekconference and expo in Cape Town. 1) Buy gifts that don’t use electricity or batteries. Up to 40% of all batteries are purchased during the holiday season. Buy environmentally friendly gifts such as solar chargers for laptops, cell phones and solar-powered torches. 2) Don’t use the tumble dryer unnecessarily – it’s summer, so take advantage of solar powered drying. 3) Turn off the room lights when the Christmas tree lights are on. 4) Set a timer to Christmas and outdoor lights to limit the time they are on. 5) Create a romantic or devout atmosphere by using candles instead of lights. 7) If you’re going away, turn off/down the empty refrigerator. – Invest in a geyser blanket. Unless the geyser is properly insulated, switching it off does not save electricity. – Insulate the roof to make the house cooler in summer and warmer in winter and thereby saving on using heating and cooling devices. – Switch off appliances at the source when not in use. – Replace bulbs with CFLs (compact fluorescent lamps). – Use cold water to do laundry, it saves electricity and is better for the clothes. For the past 12 years, the African Utility Week conference and exhibition has helped to reduce the energy consumption of commercial and industrial large power users and has assisted in African utilities providing electricity and water to all of Africa. The event brings together thousands of utility professionals from across the globe to learn, share knowledge and debate the key topics that will secure the future development of Africa’s power industry. These include energy efficiency, improved service delivery, renewable energy, collaboration across the continent and investment in new power projects. Stakeholders across the industry attend the event, from Energy ministers, utilities such as Eskom, municipalities and regulators to investors and technology and service providers. Attending theAfrican Utility Week exhibition is free when registering in advance and it showcases energy saving technologies and services for the industry from more than 250 providers and features hands-on demonstrations and workshops on the exhibition floor. Eskom’s 49M campaign encourages all South Africans to take the 49M pledge to save at least 10% electricity.